As a member of David Corbaley’s Lead Commando system you already know the value of knowing how to drive traffic to your websites to generate leads like David teaches. In fact, we use the exact same process David teaches… BECAUSE IT WORKS so well. The second big element to making it work is having an effective (but great looking) website. That’s why you’re here. 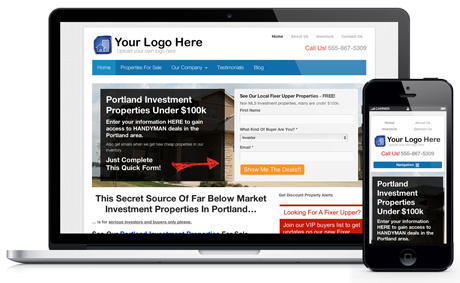 David and his team rely on our InvestorCarrot system for their lead generation websites and for their high end “done for you clients” as well… so you’re in good hands. 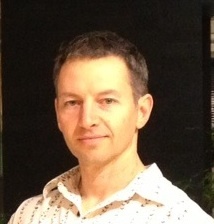 PLUS, we’ve customized the system you’ll get as a member of David’s so it aligns perfectly with what David teaches. We worry about the tech work so you can worry about doing deals. Check out this website… take our demo… and ask us questions on our live chat. We’re here for you… and look forward to helping you set up your lead generation website system. 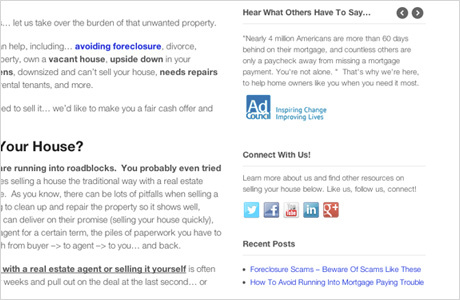 OnCarrot is the real estate investor website system you’ve wished existed but could never find (until now, that is.). Helps you build credibility, generate leads online, get higher search engine rankings, gain 100% control over your site – business – and life. OnCarrot is built to just get real results, no hype or cool but useless features here. 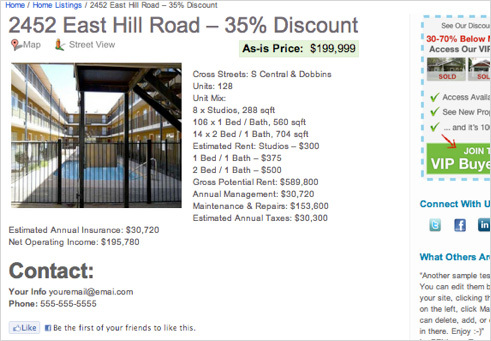 The simplest website platform I’ve used as a real estate investor for sure. And it actually delivers on generating leads.— Patrick Riddle, Charelston, SC. I’d been looking for a quality, clean, effective, and easy to use website system for my students. Now I recommend it to them every time.— Susan Lassiter-Lyons, Denver, OC. 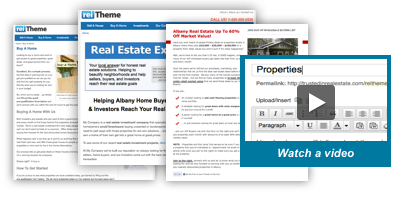 Easy – effective real estate investor websites lead generation website system. OnCarrot is customizable with a few clicks of your mouse. Make your website as unique as you are. No more having to settle for an outdated template site that is the same as thousands of others. OnCarrot will let you take control over your site even if you’re a technical dunce (it’s that easy). 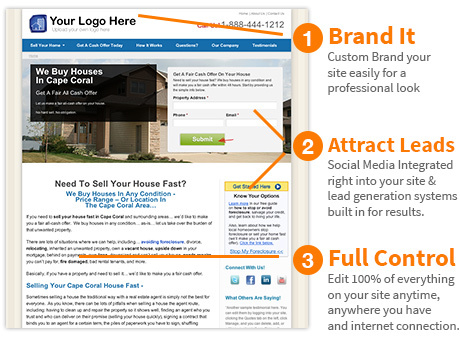 More leads with less cost. Your new OnCarrot website will be search engine optimized for your market to get you started. 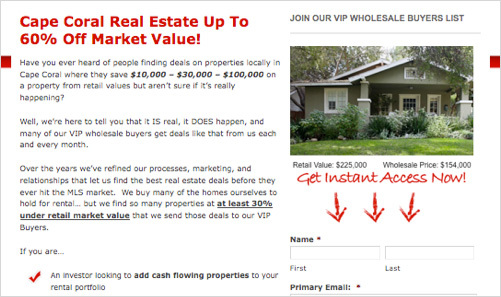 Then, we give you the tools and knowledge needed to really ramp your real estate investing website system up. Unlimited custom “Squeeze pages” are included so you can generate consistent and targeted leads, and integration with popular email autoresponders like Aweber and Mailchimp is included on all sites. With the glut of real estate investor websites out there all saying they’re the best, the best way to separate yourself from the rest of the pack is by simply being credible. I’m sure when you make big decisions you do your research to find the company you feel you can trust the most, who can get the job done right, and who are just plain good people. Well, your website should help you build your credibility FOR YOU. Your new OnCarrot website is built with credibility building elements like the professional-clean site design, testimonials app, social media links, pre-built education, and more! We live in the internet age where 80% of home buyers search the internet first when they’re looking for a home. The same for home owners looking for solutions to their foreclosure, divorce, or any other reason they need to sell a property. We help you get and stay in front of your best prospects online. OnCarrot makes it easy for you to leverage the internet and social media to find buyers, sellers, and private lenders and to systemize parts of your lead generation. Your OnCarrot account is password protected and safe so you and only those you want access can. Plus, your website is backed up and stored on our secure high grade servers. OnCarrot also has add-ons to help you supercharge your online marketing including mobile-ready websites, text message marketing capabilities, our graphics/logo services, and more! See all the extras.